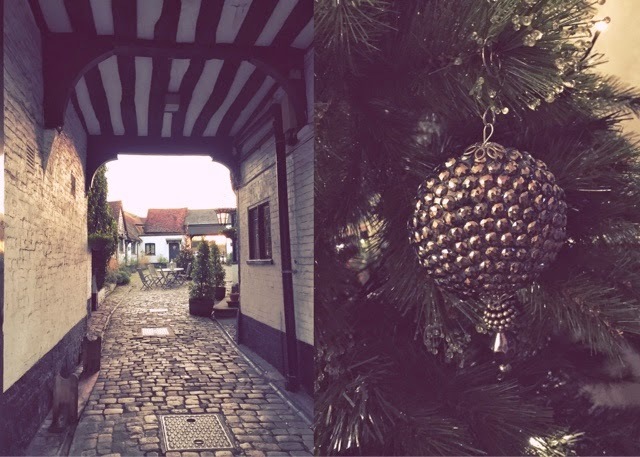 Old Amersham is an unlikely Christmas shopping destination - I thought so too! 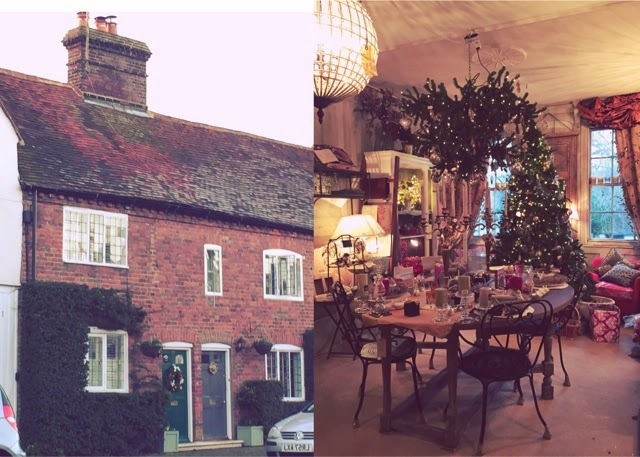 Ever since we moved into the area though, Su Chases shop in Old Amersham has become a favourite destination when Christmas comes around. It is an interior design shop with lots of home accessories, small furnishings and fabrics. But around the end of November this pinky townhouse in the middle of the old town transforms into a warm, fairytale Christmas hub. 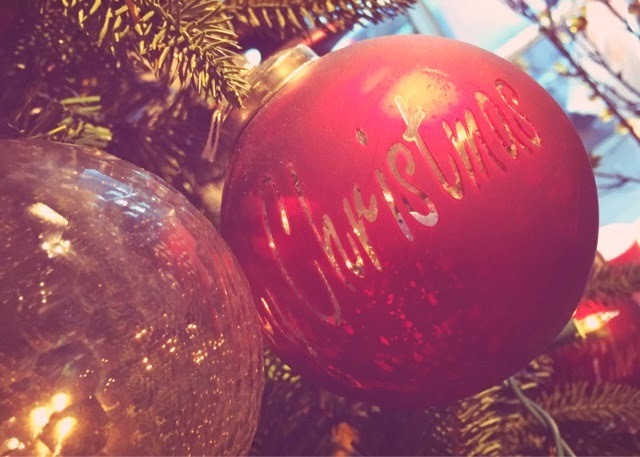 It is my absolute favourite destination for baubles! Prices start from £3.5 and range up to £20 for the biggest bauble you'll ever see...the size of a small watermelon! You don't have to decide on a colour scheme before you get there. 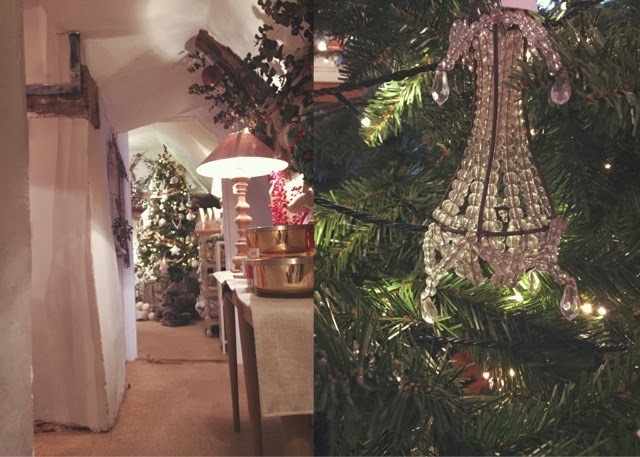 Every room is filled with different colours and all kinds of baubles; decorations are found on trees, in baskets, on garlands, hanging from the banisters & off chandeliers: glass, brass and copper even! And then there are the vintage baubles in smoky grey and silver, love them! There are fury ones and cotton-fabric wrapped ones and my absolute favourite this year: a clear glass bubble filled with fake snow and a white dove sitting on top! I've been twice this year already: once to buy some gifts for friends and then once more to buy some new decorations for our tree since...we cannot find our old ones. A couple of them came from Su Chases bought the first year we moved here, others came from an impromptu trip to Bruges over Guy Fawkes weekend, seven years ago, from De Witte Pelican, an all-year Christmas shop! I'll tell you about this another time, but if you find yourself in Bruges at any point during the year, look for it! 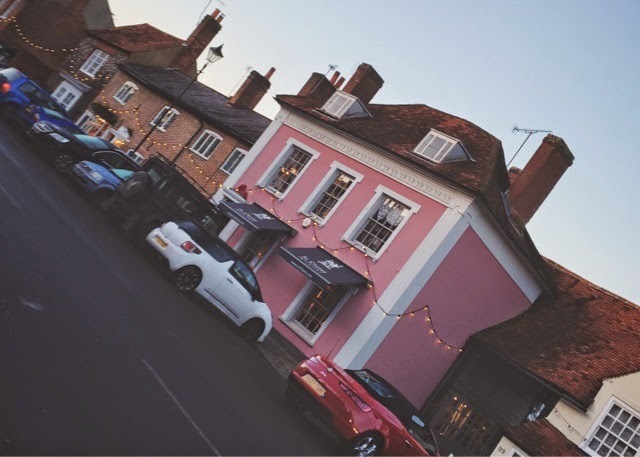 Old Amersham is worth your time on a lazy weekend afternoon. 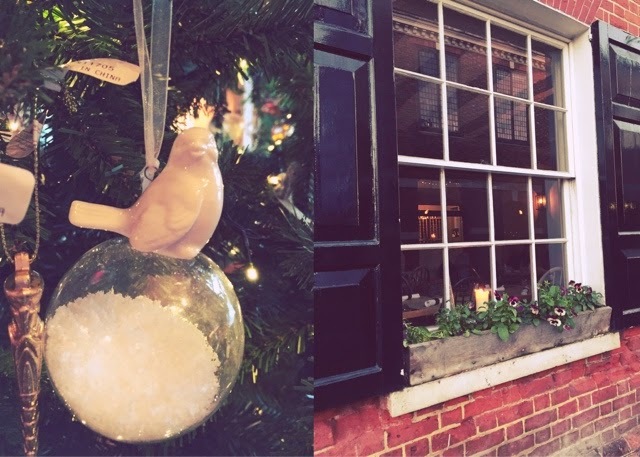 The Crown Inn, an old wobbly-turned-shabby-chic coaching inn, offers the perfect fireside spot for afternoon tea. It was also the location where Hugh Grant's character stayed, in Four Weddings and a Funeral! You didn't know that, did you? The old Market Walk houses merchants selling anything from baked goods, to vintage books and toys and fresh Christmas wreaths, this time of the year. 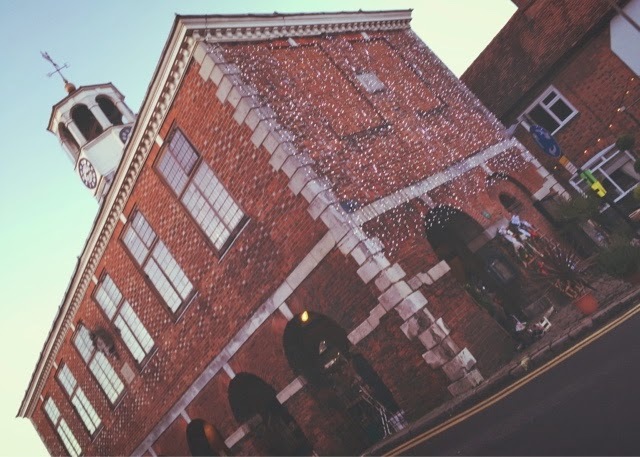 On sunny winter afternoons I like walking all along the main street in the old town. It's like an open air museum filled with history... you'll spot the cutest cottages, alongside grander townhouses, named after their previous tenants. I can't help but peek inside the cottages, every time I walk by; the wooden beams and old fireplaces fill little rooms and I'd love to pop in to have a cup of tea and hear old stories!